Our raw, natural Shea Butter is sustainably sourced in West Africa. This rich, super moisturizing ingredient is the building block for healthy, protected hair. 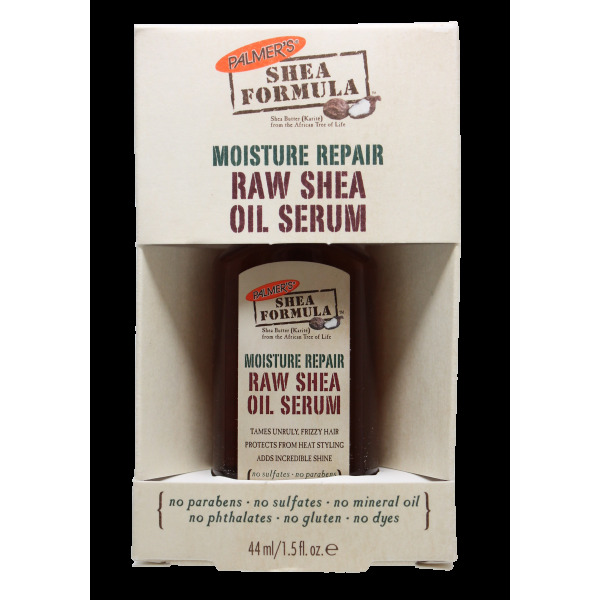 Palmer's Shea Formula Moisture Repair Raw Shea Oil Serum infuses hair with essential oils and nutrients to reapir damage and add shine. 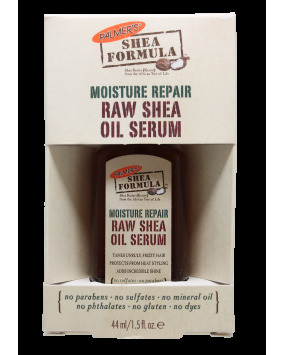 Apply a few drops to damp hair pre-styling or apply to dry hair to smooth and add shine.